If you are considering Rhinoplasty in Portland Oregon contact board certified facial plastic surgeon William A. Portuese MD – a board certified facial plastic surgeon seeing patients in Portland OR, Hillsboro OR, Multnomah County and surrounding areas in Oregon. The Portland Rhinoplasty Center in Oregon is a boutique medical and surgical center devoted to the art and science of nasal contouring surgery, specifically rhinoplasty. There are many reasons people undergo a nose procedure, which include a broken and twisted nose, removal of a dorsal hump, reducing the bulbous nasal tip, or their nose is simply out of balance with the remainder of their facial features. The nose is the most prominent feature on the patient’s face, and it is a very defining characteristic of the face. When the size and the shape of the nose is out of balance with the remainder of the patient’s facial features, a nasal contouring procedure can accomplish making patients feel more self-confident about themselves. 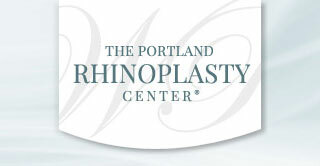 Dr. Portuese is the founder and medical director of The Portland Rhinoplasty Center. Dr. William Portuese prefers the Closed Rhinoplasty approach, which accomplishes making all the incisions on the inside of the nose in order to reshape it. When patients have been feeling uncomfortable for a long period of time about the shape of their nose, consider a nasal reshaping procedure, also known as a nose job. Rhinoplasty is the fourth most common cosmetic surgical procedure performed in the United States today. Nose surgery is one of the most difficult operations to perform correctly in the entire field of aesthetic/cosmetic surgery, so it is imperative to choose your facial plastic surgeon based on extensive experience producing natural results. The nose is a three-dimensional structure that must look good in all three dimensions, and nasal contouring is performed in a three-dimensional fashion. The healing process also occurs in a three-dimensional fashion, so it’s important to choose a surgeon who can anticipate the surgical results. Dr. Portuese is a Rhinoplasty specialist in Oregon who has dedicated a significant component of his practice to the discipline of cosmetic nasal surgery. A candidate for a nose job must be in excellent physical health to undergo elective cosmetic surgery. The procedure itself is performed under general anesthesia as an outpatient surgical procedure. 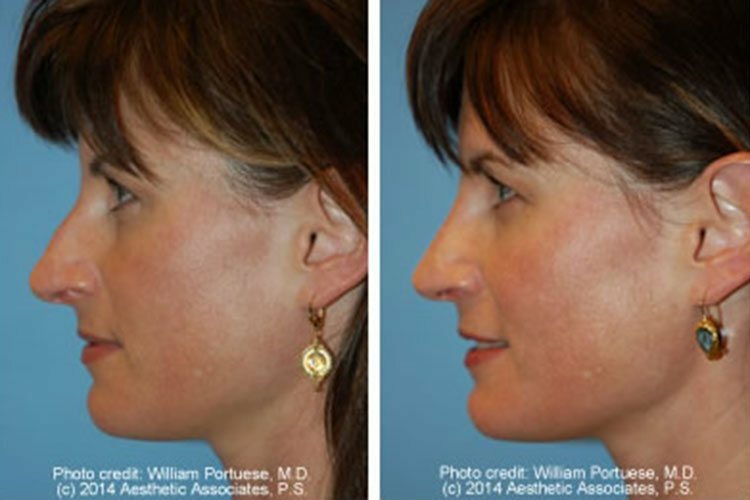 The Closed approach accomplishes making all the required changes to the nose by placement of all the incisions on the inside of the nose. No visible external incisions are required. No painful packing is necessary. The consultation with the Oregon doctor usually lasts at least 30 minutes, and an additional 30 minutes spent with the patient care coordinator discussing scheduling, costs, and digital computer imaging. It is very important that patients get all their questions answered, and they understand the process of how to accomplish their goals of obtaining a new nose. It’s also imperative that patients understand what can and cannot be accomplished with the nose surgery procedure. Patients are not going to get a celebrity nose. It’s also very important patients present to the consultation with specific goals in mind on exactly what they are trying to accomplish, such as shaving down dorsal hump, narrowing the bridgeline, refining the nasal tip, etc. It is best to talk very specifically about what the nose job goals are so that there’s no miscommunication between the facial plastic surgeon and patient.